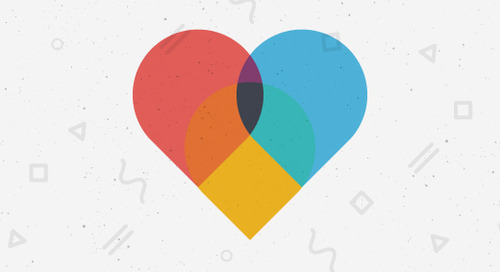 What does Valentine’s Day mean for email marketers (aside from becoming extremely jaded with heart emojis in subject lines)? Well... for us, it means a special edition email showdown! In the spirit of the holiday, I tracked Valentine’s Day email campaigns from two of our favorite e-commerce brands: Greetabl (a one-stop, personalized gifting service) and Bouqs (a flower retailer). Since both companies have high stakes in this particular holiday, I thought it’d be interesting to see who really brought it. So who won my heart in the inbox? Read on to find out! Subject line: All You Need is Love, and Bouqs. Bouqs began their campaign with this email sent 10 days before Valentine's Day. While I’m a little surprised they didn’t get in on the action sooner, it’s a well-designed email that quickly reminds people that the big day is coming up, offers up an attractive discount, and includes a little element of interest up top with that “XOXO” GIF. I also love the fact that they include a “Did you like this email?" banner at the bottom of every send. What a fabulous way to collect subscriber feedback and fine-tune their strategy along the way! Subject line: Today Only… Get a Free Vase! Preheader: You Know I'm All About That Vase. After displaying a clear value proposition in the subject line (and having some fun with that cheeky preheader), Bouqs draws you in with a punchy headline, a beautiful hero image, and a bold, focused CTA. It’s a recipe for an A+ Valentine’s Day send, and the content is different enough from the former email that I'm not irritated (yet) by their high send frequency. Subject line: Send 2X the Flowers This Valentine’s Day! Preheader: This is the Deal You Can't Miss. The next day, Bouqs shifts gears with a new (and attention-grabbing) promotion. Subject line: Last Chance to Double Your Blooms! ...they sent a second promotion the next day to call even more attention to this huge offer. However, the daily cadence is becoming a bit much, even for their high season. Preheader: Express your heartfelt love with farm-fresh flowers. After bringing out the big guns on that last promotion, they scale it back with a simple 15% off deal. It feels a little lackluster, but at this point, it’s probably safe for them to assume that people are getting more desperate to lock in a gift on time. Subject line: Who Doesn’t Love a Good Mystery? Preheader: Surprise Your Valentine with a FREE Additional Bouq! They follow up the random 15% off deal with something much bigger: A “mystery” version of the buy one, get one offer. The design of this email – plus the inclusion of an eye-catching GIF – stands apart from their previous sends, which signals that I should really stop and pay attention this time. Subject line: One Day Left to Save 15% for Valentine’s Day! In their final Valentine’s Day send, Bouqs opts for an urgency play – but strangely, they decide to emphasize a sale ending soon rather than going the “You need to order now to get flowers on time and stay out of the dog house” route. I love the design and the clock GIF, but putting so much stock in that 15% off sale feels like an odd choice. Preheader: Gifts for Guys and Gals. If you really, really don't want to hear from us anymore, you can unsubscribe. We totally won't take it personal. I mean, it's just an email, right? It definitely does not mean we're not still friends. Right?? Are we overthinking this? Love you, mean it. Sent with ♡ by Greetabl. We hang out at 911 Washington Avenue STE 656 St. Louis, MO 63101. Their brand voice is hopelessly endearing, and that alone helps them rack up a ton of points. After that first announcement, they wait over a week to email again about anything Valentine-related. This time, they drum up some excitement about Galentine’s Day (celebrated on February 13th) by announcing an exclusive free gift: Three teabags, a customized Greetabl, AND free shipping. Bravo for a killer co-marketing effort between these guys and Tazo! It’s an excellent way to draw people in who maybe aren’t ready to purchase just yet, provide an excellent experience, and convince them to convert later down the road. Subject line: Tazo brought back your FREE Greetabl! Hmm. So maybe this is legitimate, but the marketer in me wants to commend these guys for potentially stretching the truth a little bit here. It has the flavor of an “oops” email, but it also makes you feel as if you missed out on something people went crazy for – and now, this kind, wonderful brand is extending the offer just for you! Regardless of my skepticism, this is a fantastic email. It helps the brand get even more out of an already well-executed offer, and it makes their audience feel taken care of and valued. Subject line: Ready to say I love you? Preheader: Say it with a Greetabl. A few days after the Tazo promotion, Greetabl sends another generic Valentine’s Day promotion. The timing feels right for a simple reminder, and they even put a time stamp on things: You NEED to order by Monday to get your gift on time. Also, I’d like to take a second to give them props for their CTA language. Rather than using generic copy like “Buy Now,” they opt for language like “Say I Love You” or "Claim Yours Now" that truly puts the recipient in the driver's seat. Preheader: Last chance to send your Valentine on time. I love that they waited until this final message to bust out that super engaging GIF that showcases how a Greetabl works. It may have been just what people needed to convert: This specific email (and that GIF) actually pushed my colleague Jamie to order her first Greetabl! Bouqs has an adorable brand and flies way ahead of its direct competitors in the inbox, but there’s no beating Greetabl in this showdown. Their subject lines, their preheader, their messaging, their cadence – everything was exactly right about this Valentine’s Day promotion. Well done, guys. 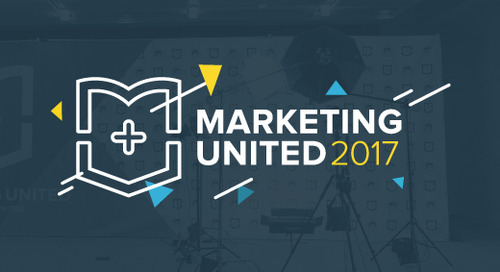 What makes Marketing United different?